Charlevoix was settled by fishermen in 1852 at the site of a Native American village. Originally named Pine River, it was later renamed to honor Pierre-Francois-Xavier de Charlevoix, a French Jesuit missionary, explorer, and spy — sent by the French king to find a Northwest Passage to the Pacific. In 1854 the first permanent settlement was established when several Mormon families(George Preston, Galen Cole, Adam See, and Daniel Alvord) arrived from the Beaver Islands. Charlevoix is the site of the Battle of Pine River, a famous gun battle between Charlevoix fishermen and Mormons, who had built a settlement on Beaver Island. The battle is the only one on the Great Lakes than involved both land and sea. After this battle, the Mormons left Beaver Island, and a number of settlers, who had left the area due to the hostilities, returned to Pine River. Dixon and his wife Phoebe were both graduates of Oberlin College in Ohio, the first college in the United States to admit white women and African-Americans to study along with white men in the mid-1830s. They remained prominent members of the town for many years, living harmoniously with other settlers and the Native Americans who were the primary residents when they arrived. They did not, however, get along as well with the Mormons. Mr. Dixon was at one time reportedly hung in effigy at a Mormon picnic and religious gathering on Holy Island. On another occasion, Phoebe and another woman were alone in Pine River while their husbands were in Petoskey for business. A group of Mormon men from Beaver Island came to Pine River and stole some lumber J.S. had intended to use to build a sawmill. While the other woman dressed in various pieces of men’s clothing and walked around the cabin to give the impression that there were men about, Phoebe made her way on foot along Lake Michigan to Petoskey, through swamps and brambles because there was no trail. A group of men quickly returned by boat and the remaining lumber was saved. For many years Charlevoix was a fueling stop for the wood-powered steamships on Lake Michigan. Large docks extended into Lake Michigan, and the lumber business was a source of prosperity. After a good deal of manual digging and mechanical dredging, the Pine River became a navigable channel and boats could move from Lake Michigan to Lake Charlevoix. Thus tourism was born. The little Pine River, which one crossed by wading or by footbridge, acquired a series of ever-larger bridges to allow road traffic across the channel and boat traffic through the channel. 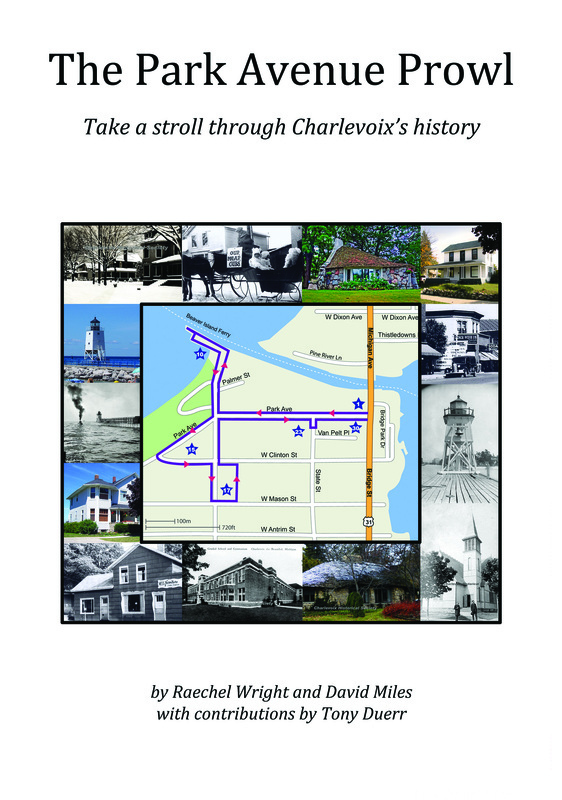 The purpose of this tour is to give you a sense of the fascinating history of Charlevoix. We have focused on the years when the earliest structures in the town were built. We don’t want to give the impression that history “started” when white settlers arrived, however! Native Americans had a long and rich history in this area before the people we call pioneers were born, but researching that history is more difficult because it lacks a written record. 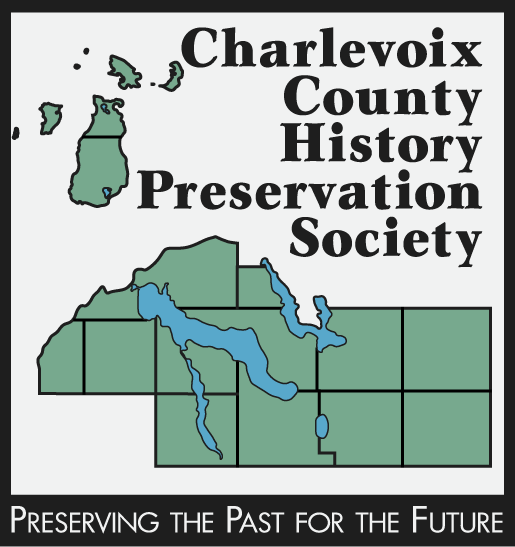 Copyright 2011 by Charlevoix County History Preservation Society. All rights reserved.